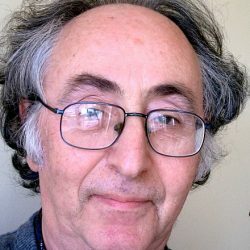 Brian Josephson is a Welsh theoretical physicist and professor emeritus of physics at the University of Cambridge. He is best known for his pioneering work on superconductivity and quantum tunneling and he was awarded the Nobel Prize in Physics in 1973. He is currently the director of the Mind-Matter Unification Project of the Theory of Condensed Matter Group at the Cavendish Laboratory, Cambridge. His research interests include extensible artificial intelligence based physics models (An integrated theory of nervous system functioning embracing nativism and constructivism) & evolutionary approaches to AI (Multistage acquisition of intelligent behaviour). His detailed profile with research can be found here. His Research Gate project referring Tier3D can be found here. Intuitive and scalable approach of creation and usage of Artificial Intelligence. Build outstanding games and apps without coding skills.